Thus far, optimism has reigned supreme in this summer of moviegoing. “Mad Max: Fury Road” was about finding hope and redemption in a wasteland, “Tomorrowland” championed positivity, and now the king of sincerity himself, Cameron Crowe, has given us “Aloha.” The director’s latest effort is a Cameron Crowe film through and through – a heartfelt, funny and honest, albeit a little messy, romantic comedy. Like most of Crowe’s protagonists, Brian Gilchrist (Bradley Cooper) isn’t the man he once was, a washed-up defense contractor looking for a comeback. His boss, famed billionaire Carson Welch (Bill Murray), is planning on launching a satellite out of Hawaii, and it’s Brian’s job to make sure the launch goes according to plan. Professionally and personally, the cynical Brian runs into more problems than he expected. For starters, his ex-girlfriend Tracy (Rachel McAdams) is now married to John ‘Woody’ Woodside (John Krasinski) and has two kids. Old feelings for Tracy arise when Gilchrist reunites with her, in addition to new ones for his babysitter/partner, Allison Ng (Emma Stone), an ambitious pilot who sees Brian for the man he used to be and the man he could become. 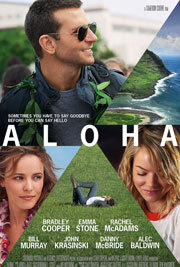 There’s actually more to “Aloha” than that plot description. There are a lot of moving pieces in Crowe’s script, and it takes time for them to become a cohesive unit. The details of Brian’s mission are a tad hazy at first, and his relationship with Allison is initially rushed, as she falls for him a little too quickly. But by the time the second act rolls around, Crowe and the cast are mostly smooth sailing. There are some artists who transcend their musical genre, and given how many people have a copy of Legend in their CD collection without having a single other reggae disc to accompany it, it's fair to say that Bob Marley is one of those artists. If you're a fan, then you may be interested to learn that Titan Books has just released "Bob Marley and the Golden Age of Reggae," a collection of photographs of Mr. Marley and many of his musical peers, all taken by Kim Gottlieb Walker during 1975 and 1976. During 1975 and 1976, renowned underground photo-journalist Kim Gottlieb, and her husband, Island publicity head Jeff Walker, documented what is now widely recognized as the Golden Age of Reggae. Over two years of historic trips to Jamaica and exclusive meetings in Los Angeles, Kim took iconic photographs of the artists who would go on to define the genre and captivate a generation. 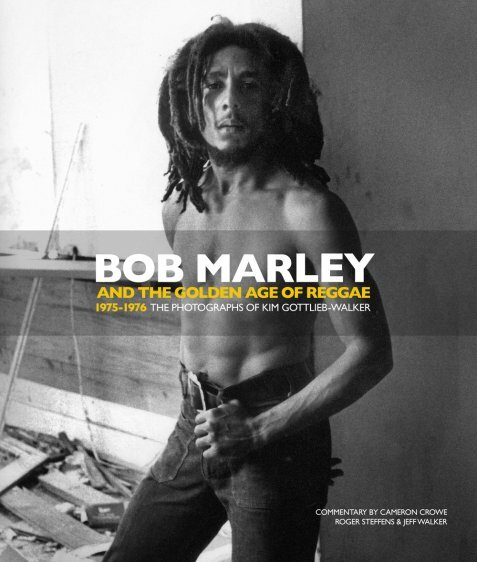 Bob Marley and the Golden Age of Reggae features candid and intimate photographs of all of the musicians, artists and producers who brought the reggae sound to the international stage, including Peter Tosh, Bunny Wailer,Toots Hibbert, Burning Spear, Jacob Miller, Third World, Lee Scratch Perry and, of course, Bob Marley. Kim's photographs include never-before-seen performance shots, candid behind-the-scenes footage of Bobs home in Jamaica, and exclusive records of key moments in reggae history, such as Bob's first US television appearance, the historical Dream Concert with Stevie Wonder in Jamaica, and Bob meeting George Harrison backstage at the Roxy in 1975. Acclaimed rock journalist and director Cameron Crowe ("Almost Famous") introduces this volume with a rousing foreword describing the time he accompanied Jeff and Kim to Jamaica to witness the burgeoning music scene there. Reggae historian Roger Steffens writes lucidly about the significance of those early years in reggae, and describes the pivotal moments documented in Kims photographs, many of which have not been seen in over 30 years, and many more of which have never been released to the public. Intimate and revealing, Bob Marley and the Golden Age of Reggae is a rare and beautiful record of one of the most exciting moments in music history, told through the photographs of a true artist. Titan kindly provided us with several shots from the book for your viewing pleasure. Don't be surprised if you're tempted afterward to click here and order a copy for yourself.